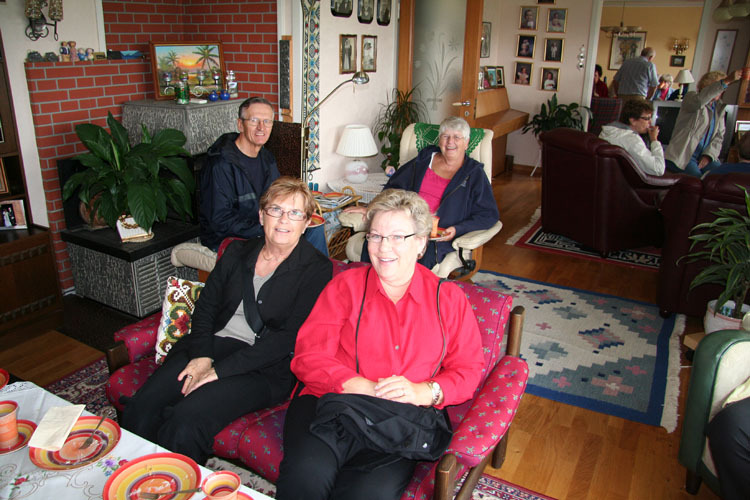 Monday August 27th we were happy to have visitors from Minneapolis on the farm. 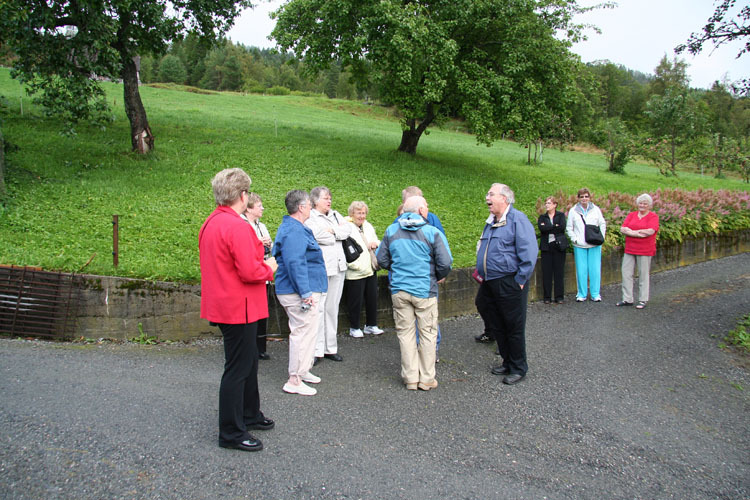 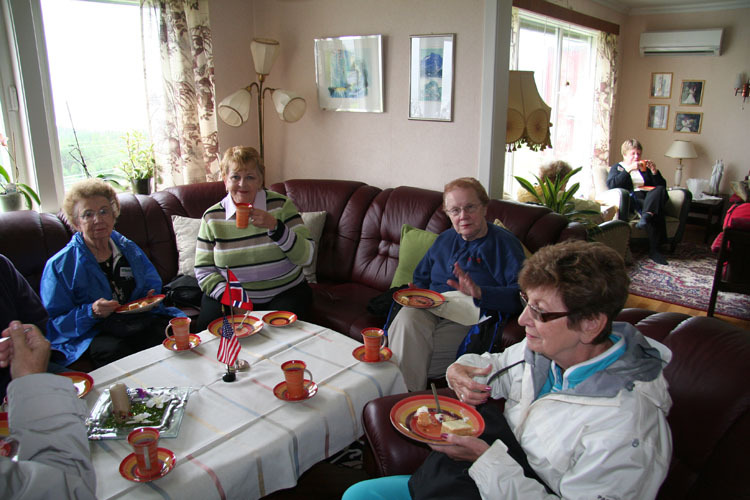 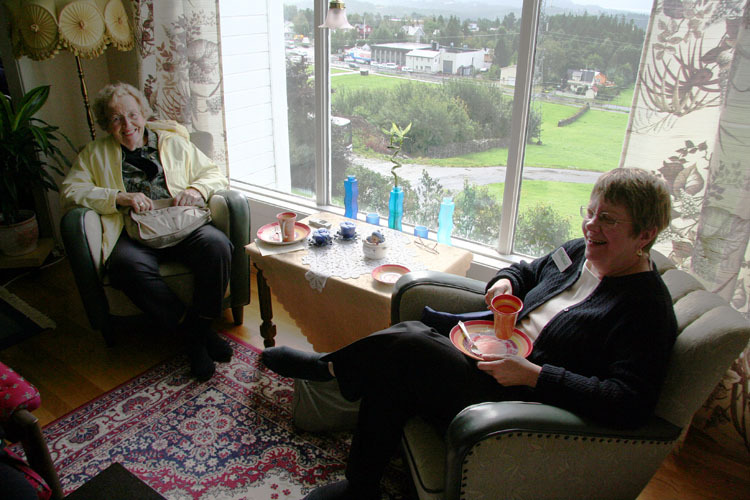 It was a group of about 25 people visiting Norway and also the district around Ålesund. 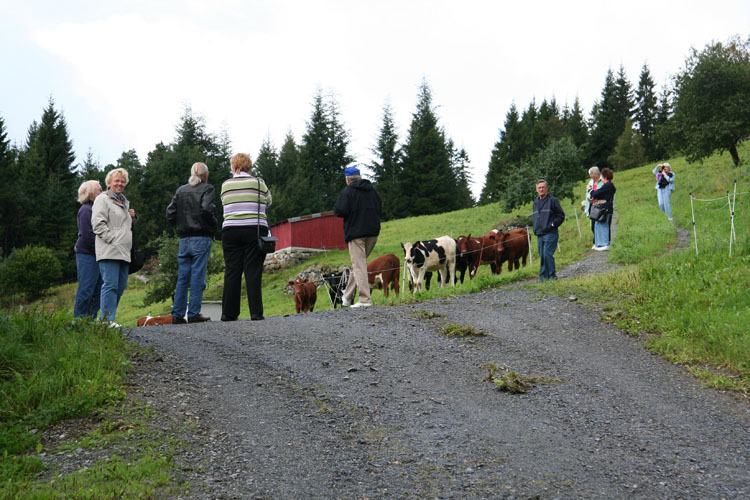 They had a hectic program, but still they used a couple of hours to visit our farm. 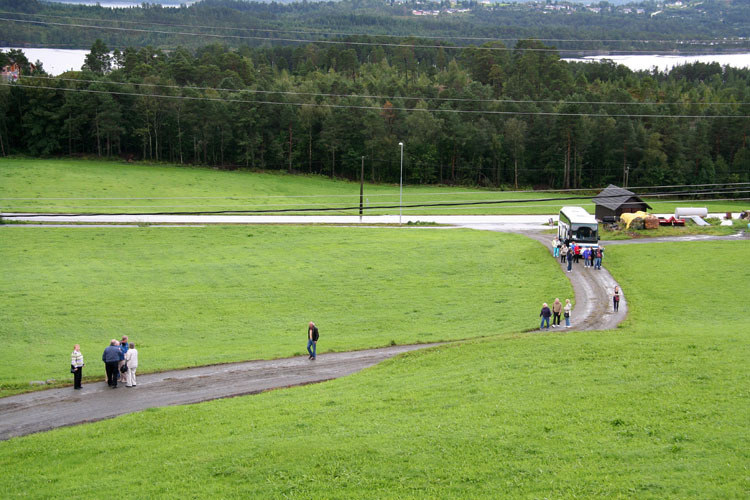 The background for this visit was that three of the group members have relations to us at the farm. 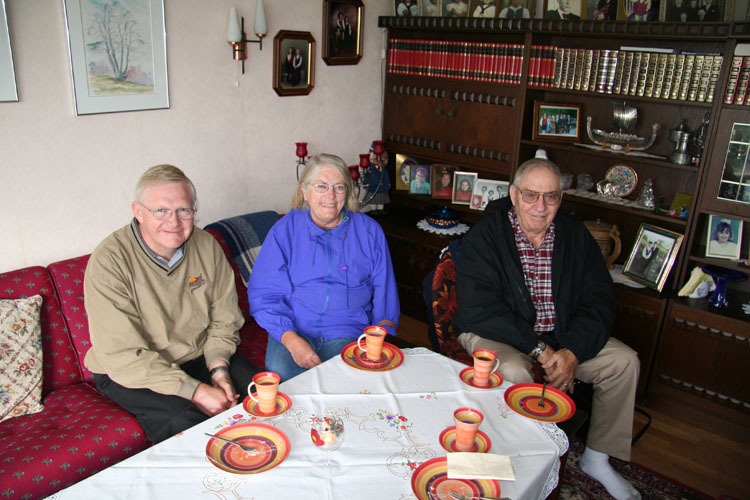 Howard Skulstad has visited us several times before and also his wife has been her some years ago. 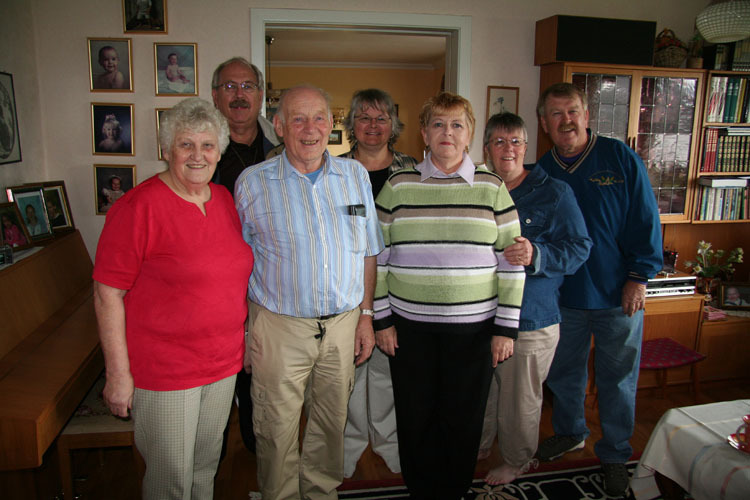 His sister Carol was her for more then 30 years ago, and for the first time their brother Curt was her with his wife. 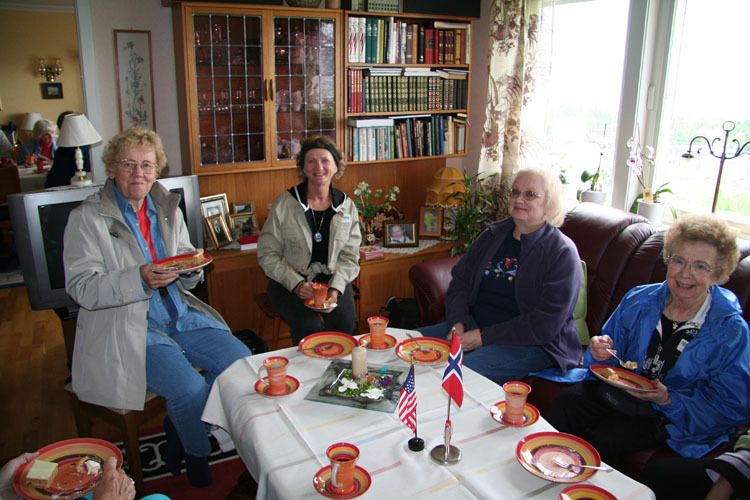 We appreciate the contact with our relatives in US, and it’s always a pleasure to get this type of visits. 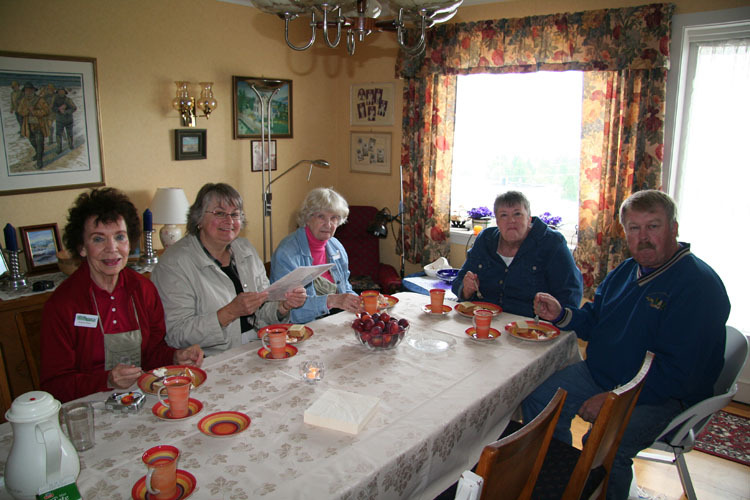 The owners of the farm, Petra and Otto together with our relatives from Minneapolis.